If you haven't noticed by now, I tend to gravitate towards a pretty neutral color palette (with an occasional color thrown in for flavor) and if I'm feeling really frisky I may just add in a pattern! I've had this skirt in the vault for a long while and it is honestly one of my faves...it was a score for just $30 and let me tell ya it has been around the block fo sho. Don't you just love when you find things like that?! i love how hip and young you make the H belt look. i tried it on and it makes me look really matronly ::sad face:: LOL. So effortless and chic! I love it! This outfit makes me wish for Spring weather so I can wear some skirts and no tights. Oh My I think Krystal would drool over your skirt! I love your tank too, the back is gorgeous. Glad you had a fab valentines with the hubby. oh my gosh, im swooning over your heels!!! I absolutely love this outfit! You look great! I love this entire outfit! The accessories are amazing and those shoes are to die for. So fabulous! Shoes! I love them!! Not because they have the famous red on them, they're truly gorgeous! 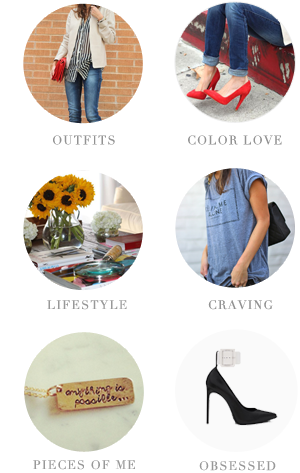 just happened cross your blog, and i love your style, especially your shoes & accessories! The shoes are amaze! You look great. Totally great outfit! The bag and the belt are killer! Love your great skirt find too! So fabulous!! 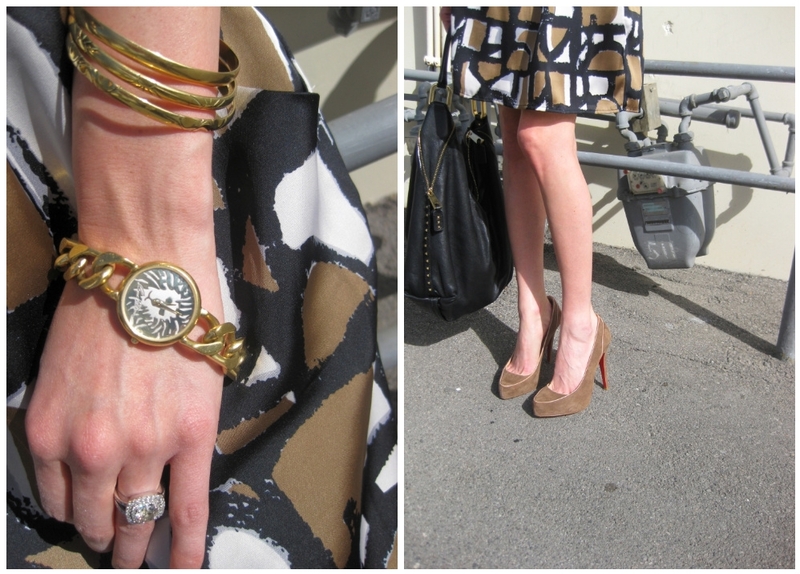 The shoes are Bad-A and I love the layered tank with the skirt. The gold accents set it off! Nicole, you LOOK awesome!!! I am especially loving/wanting that top! I totally HEART that skirt! I love that Hermes belt--you have such a great collection of accessories. okay, um, skirt = terrific pattern. and eye spy an h? love the neutral geometric skirt! I'm a neutral girl too and this look is right up my alley! that bag, those shoes, that skirt! ayeee, i'd like that whole outfit, please! so gorgeous. So stunning! I love everything! You are gorgeous! Such a fun outfit! It's always nice to see summery things on days where it's been rainy cold and miserable where I am. that skirt is fantastic! such a great outfit. fabulous skirt, you look rockin as always. BUT - you are making want to spend my $$$$ this is bad bad bad!! Girl stop it.. you have sooo many amazing clothes... haha I mean it in a good way. And don't stop obviously!! I LOVE LOVE LOVE your sense of style...everything about it! gorg! love geometric shapes. We can definitely expect to see more coming this f/w 2011. FAB FAB FAB! Love that belt!